89-98 is an album I've written in summer of 2008, over several weeks. The booklet explains in great detail the concepts behind the music, but shortly speaking the first tune of the album is 89 minutes long and the second is 98. So these are pretty lengthy but were written with a lot of thought. Album as a whole can be viewed as a sound music symphony. This was one of my earliest ambient works and I do not consider it to be great success, although it is certainly a milestone in thinking about longer forms of electronic music. Incidentally, the intro track of "89" is, plainly speaking, boring and not very well made. It puts off many people from listening to the rest of the work, although everything beyond minute 26 is markedly better. "98" is good throughout, in my opinion. You can choose to download original versions from this page or get flac version from Bandcamp, which will include an edited version of Journey89, taking out the intro track, mentioned above. Text from the original booklet, as released in 2008 on Disc Shelf hosting service. The intial idea for the album was to create a record that would not be possible to release on conventional data carriers such as tapes and audio cds. Thus, it was decided to make tracks which would be longer than 80 minutes. You could, of course, release this on audio DVD but as far as I know it is not a common carrier anyway. 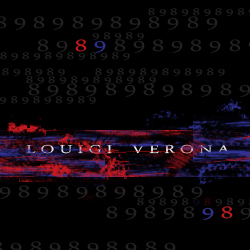 Deeper into the writing of the album, several more concepts were born, making "89-98" a very idea heavy album. I would like to underline that a listener should not be aware of any of these concepts in order to enjoy the music. But if you are interested, all the ideas are described in detail further down. This tune explores various types of drone music, starting from notes and chords, which randomly emerge and hover in the air, followed by dark droning, which might remind of guitar drones, long slow soundscapes, arpeggiation and rythmic pulsations. Journey 89 can be regarded as a musical novel, an adventure through several locations. It can be divided into subtunes (chapters). The numbers indicate at what time in the track the tune starts. It is of course possible to listen to any of these tunes separately, but just like with a novel, one can admire the language of the author and even subplots by reading a chapter, yet the best experience comes from reading the whole book. This tune is composed in a quite different manner. Instead of being a collection of several tunes tied together, Journey 98 is one long tune which attempts to introduce a theme and then expand and develop it, by either throwing it into rythmic ambient environments or slowing it down to produce rich soundscapes, as if studying it under a magnifying glass, afterwards combining the two and mixing it in a whirlpool of music and atmosphere. While it is still possible to take parts out of Journey 98 and listen to them separately, it is less convinient to do so and generally the tune is pretty integral. Because number 89 ends with a "9" and 98 starts with a "9", vice versa in case of "8", I decided it would be appropriate to match the beginnings and endings of the tunes so that they could form a circle, a loop. The part "Passage" in Journey 89 is actually a sort of a transition into Journey 98, while the ending of Journey 98 matches with "Aries", both tonally and with the type of sounds used. Work on the album introduced an absolutely new field of musical research for me, namely the development of very long tunes. In Journey 98 I have used a technique which I call "threading". In threading you divide the tune into a hierarchial structure. The main theme is comprised of several sub-themes, threads. Usually there are one or two sub-themes - be it a melody or a very certain rythm, something that makes the tune recognizable. These are called Primary threads. In the simpliest case, Primary thread is the main motif. For exmple, in Paul McCartney song "Yesterday" the melody of the voice is the Primary thread. There are also Secondary threads, themes which might be recognizable if played in a certain manner and in a certain context - those are usually supporting themes, chords, layers. In the above example of "Yesterday" guitar chords are Secondary threads, because if one plays them in a certain tempo and manner, many people would recognize the song, though these chords are no doubt used in many other compositions. And finally, there are Generic threads, sub-themes which are too generic to be associated with any particular tune, like for example simple 4/4 hihats and such. The idea is that when you move into the next phase of development, you have got to have at least one Primary or at least one Secondary thread. In the new part the Secondary thread is upgraded, given individuality which allows it to become a Primary thread, while the Primary thread fades out or is downgraded to become Secondary or even Generic. At this point the tune might develop an absolutely different sound and feel but it would be pretty much impossible to separate it from the first part, being an exploration of what sub-themes can become. Using such transitions, you connect a long tune together to form one unit. It is possible at one point to create threads that are not directly linked with the first theme, but it should be possible to "reach" it by moving along interconnected threads. Eventually, the last part should feature a Primary thread which was never featured in the first part that would downgrade itself to being Secondary or Generic, at the same time forming around itself the original Primary thread and thus logically completing the tune, at the same time connecting it to all the sub-themes in the middle. Of course, this description is very simplistic, as there are a lot of small details, downgrading and upgrading techniques, Original Primary reoccurance and much more, but I think that the method is pretty much clear. I must admit though that in Journey 98 threading was not done perfectly, especially in the ending, but it is compensated well enough by the Circle concept.